You can purchase your Gift Voucher either from our Online Shop, by contacting us via phone, email or Facebook or you can call into the store and pick one up. Where we can arrange your gift of a fabulously pampering experience. Nestled among the trees in a quiet, peaceful corner of Eltham, Beauty Delphine Beauty Salon provides relaxed and enjoyable experiences. 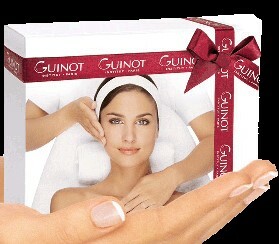 You will receive the highest quality care and skills from a highly trained, dedicated and passionate Beauty Therapist using leading skin care products from Guinot, Esmi and La Clinica Cosmetics. What could be a better gift than a trip to the Beauty Salon? Beauty Delphine’s Gift Vouchers make perfect presents for birthdays, Mother’s day or just to say “I Love You”.